Celsius now offers full integration of MakerDAO’s stablecoin, Dai, allowing holders to earn passive income with reduced risk exposure. London, February 2019 — Celsius Network, the industry-leading cryptocurrency lending and borrowing platform, announces its partnership with MakerDAO, maker of the Dai stablecoin. Celsius users can now store Dai, the decentralized stablecoin, on their secure interest-earning wallets and earn passive income for holding onto their crypto. Stablecoins, such as Dai, are cryptocurrencies pegged to a stable asset. 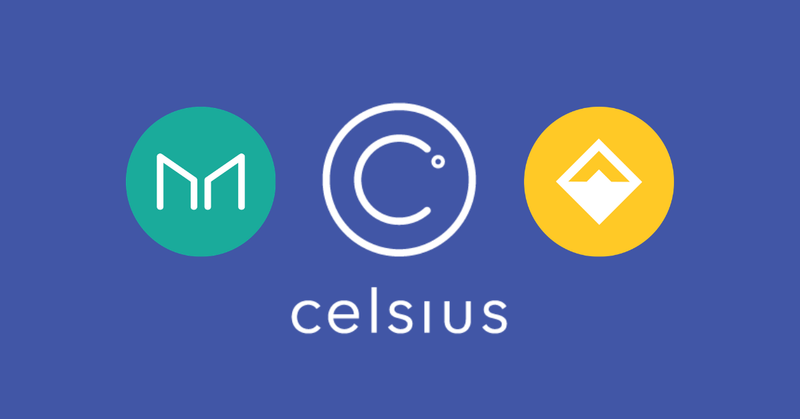 The partnership with Maker will allow Celsius users to use Dai as collateral when taking out loans, and Celsius will also use Dai as capital for issuing loans. This integration will enable Dai holders to earn 3–7% in interest, paid out weekly, on a far less volatile asset than other crypto holdings. At the same time, using stablecoins reduces capital costs, allowing Celsius to offer loans at a lower rate. As it announced its integration with the top five stablecoins, Celsius also lowered its APRs to 4.9%, 6%, and 8%. “A strong ecosystem of partners is critical to garnering scale for Dai and the entire crypto-economy,” said Rune Christensen, CEO and co-founder of MakerDAO. Celsius addresses the financial needs of today’s consumers worldwide through a democratized interest income and lending platform accessible via a mobile app. Built on the belief that financial services should only do what is in the best interests of the community, Celsius is a modern platform where membership provides access to curated financial services that are not available through traditional financial institutions. Crypto holders can earn interest by transferring their coins to their Celsius Wallet and borrow USD against their crypto collateral at interest rates as low as 4.9% APR. A new way to earn, borrow, and pay on the blockchain.